Don’t be cold. Get SMART thermostats. Smart heating controls are the latest trend in the heating market. Everyone wants ease of control, especially from the palm of your hand – and we all want to avoid getting home, turning on the heating, and then sitting in the cold until it reaches 20 degrees. You can order your shopping from your phone, so why not control your heating? Not everyone has a Monday to Friday, 9-5 job these days. Some people are flexible, depending on the days of the week or hours of the day. If your family typically spends most of the day at work or school and then sleeps for around eight hours every night, there’s no reason to run your heating system at optimum temperature during these down-times. 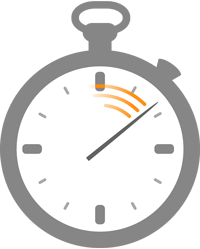 With smart thermostats, you can set individual days for the programme you wish to run. This avoids any unnecessary heating wastage - which means more money in your pocket. You could go one step further. Geo Location on Continental’s therM stat range is ideal for busy and working households. 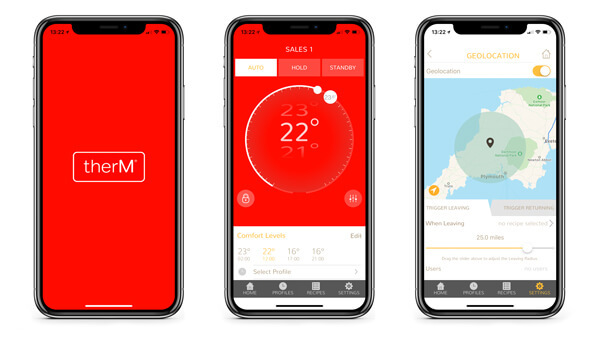 It will automatically turn the underfloor heating off when the last person (who has the therM app installed on their phone) leaves the house for work or for a trip. It then switches it back on when the first app user returns. This can come in handy at any time. With Continental’s therM app you can still control your thermostat from any location. With a 4G or WiFi connection, it just takes few clicks to stick it into Holiday Mode – then sit back, and enjoy that cool Belgian Beer or warming Glühwein. Underfloor heating systems allow you control the temperature individually for different rooms, thanks to separate thermostats for each zone: you should make the most of this. You can save money by avoiding heating areas that aren’t used as often, or that may not need to be kept warm. For example, does your utility room need to be 21 degrees? Do you have a spare room? Do you use the dining room in the mornings before work? Do these rooms need to be heated at the same time as others? Smart controls allow you to control each individual zone, so you can programme each room with its own temperature. If there’s a room you don’t use regularly or needs less heat than others simply tap on the app, click on the zone, and adjust accordingly. Let’s face it, this is main deciding factor when we’re looking to add, upgrade or modify any existing system. You can make big savings to your running costs; and with ever-expanding fuel prices, now is the right time to buy. The payback can be within as little as 24 months from the savings you’ve made. Be SMART, and get in touch with us on 0333 800 1750 today for your FREE quote. Does carpet really work with underfloor heating?